Baseball game being hosted at Clay Gould Ballpark by the UT Arlington Mavericks Collegiate Baseball team. 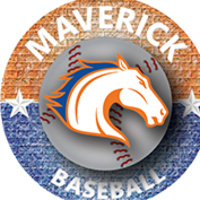 For more information about Maverick Baseball, head to www.UTAMavs.com! Staff Advisory Council Night—$8 tickets include game and food voucher. For UTA faculty, staff, families, and friends. Use code SAC. $12 package includes 2 tickets (father & daughter) and a $10 concessions voucher. Voucher can be collected at the marketing table at the baseball field. Additional tickets: $3. Offer ends April 16 at 5 p.m. Note: This promotion is intended to promote Mavericks Baseball to male youth through a parent/child outing. If your family composition does not align with this offering, we welcome other family members to participate.